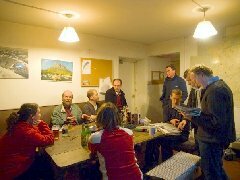 Our hut, Cefn Garw (known fondly as "Cefn"), is the OMC's climbing hut in Snowdonia. 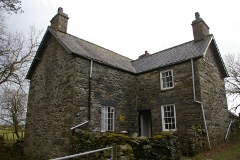 An old stonebuilt farmhouse that has been refitted as a bunkhouse, it can be found just off the A5 at Pentrefoelas. Two washrooms with toilet, basin and hot water. IMPORTANT: This area is used for livestock by the neighbouring farmer. Take your rubbish away with you (there is a bin and recycling area in Pentrefoelas next to the Chocolate House). Do not leave any foodstuffs. Leave the hut as you would wish to find it - clean and tidy.